For the salmon, heat the oven (with the oven rack in the middle) to 350°F. 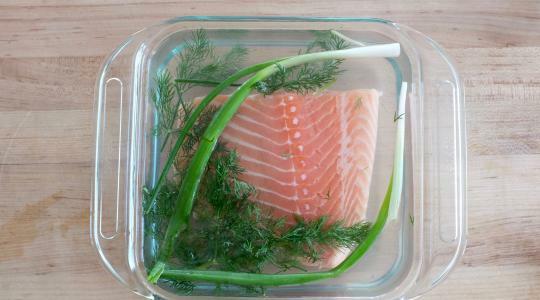 Place the salmon in a glass baking dish. Add the wine then fill to cover the salmon with cold water. Add the dill sprigs and scallion to the poaching liquid. Bake until the salmon flakes easily with a paring knife, 20 to 25 minutes. Lift the salmon out of the liquid with a spatula and onto a large plate. Let cool for 10 minutes then transfer to the refrigerator to cool completely. 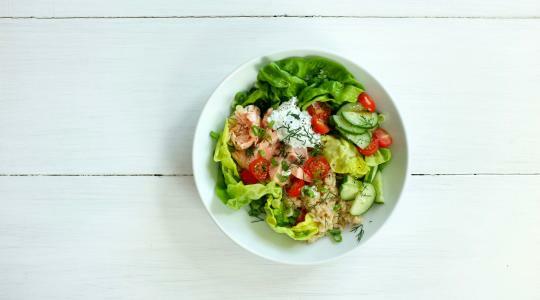 For the salad, divide the lettuce leaves among bowls then add the rice, cucumber, and tomatoes. Flake the salmon then add to the salad. 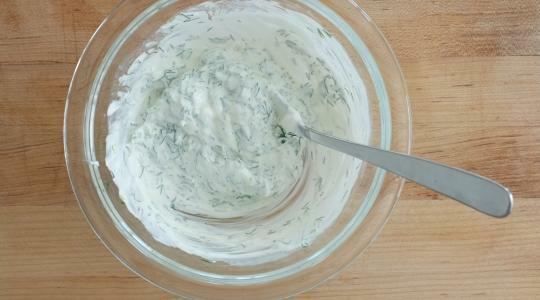 For the dill dressing, in a small bowl, stir together the sour cream, scallion, dill, lemon juice, and salt. Spoon a dollop over each salad. Drizzle the salads with a little oil and sprinkle with salt and pepper to taste. 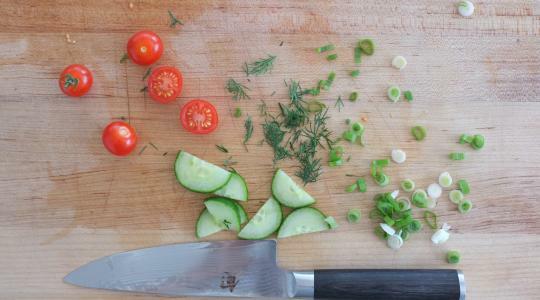 Sprinkle more chopped scallion and dill over the salads for serving.